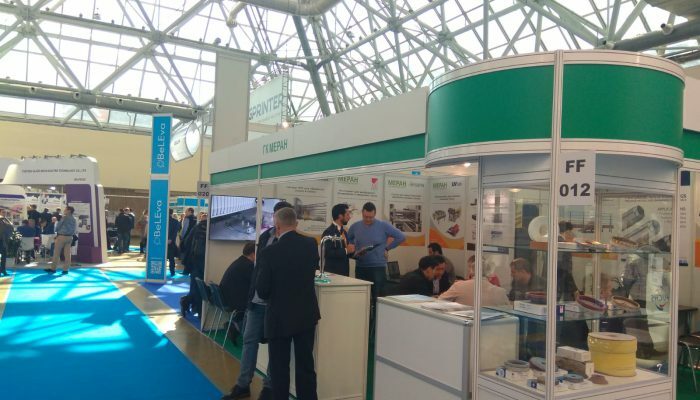 Mir Stekla is the largest international exhibition of products, equipment and technologies for the manufacture, processing and finishing of glass held in Moscow. 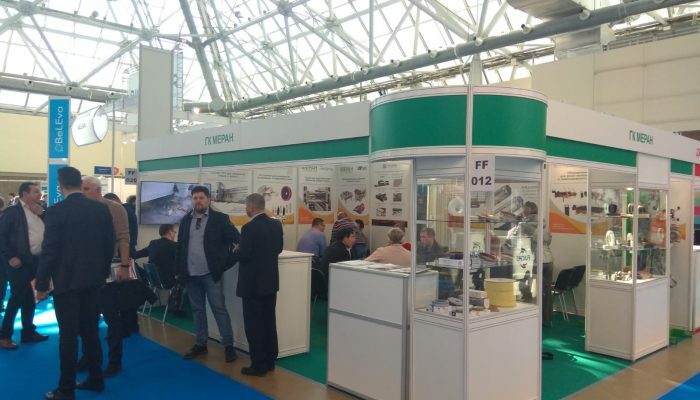 This year 2019, the fair has reached its twenty-first edition and has been framed, for the first time, within the Russian Construction Week. 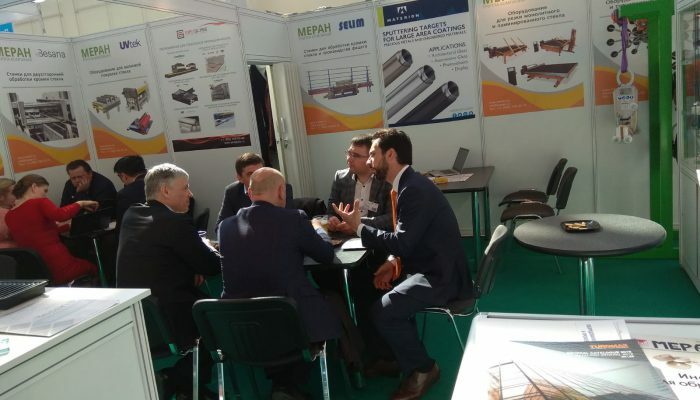 From Tuesday 2 to Friday 5 April, almost 8,000 professional visitors from all over the world passed through the more than 200 exhibitors from 20 countries, spread over 11,500 square metres of exhibition space. 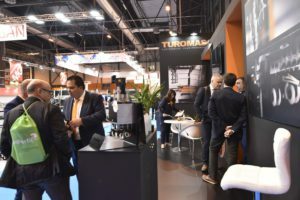 Turomas, represented by Oriol Llorens, took part in the show with its Russian distributor Meran, Ltd. Mir Stekla was a magnificent opportunity to present the brand’s products face to face and reaffirm Teruel’s presence and commitment to the Russian market. 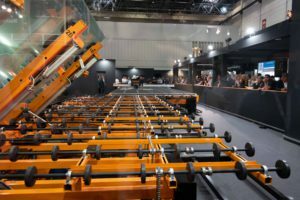 Visitors interested in obtaining information about Turomas’ intelligent glass storage, loading and cutting machinery, as well as its innovations, came to the stand. Specifically, natural glass processors from Russia and other countries of the former Soviet Union, including the most important national companies, were approached. Both have agreed on the quality with which Turomas cutting tables are manufactured. 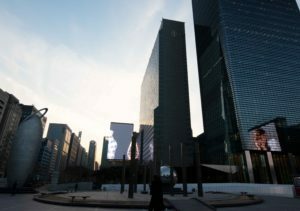 This perception is essential if trust is to continue to grow and the brand’s reputation is to continue to strengthen in Eastern Europe. 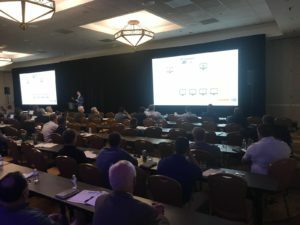 The exhibition has been complemented with seminars and round tables that have made possible the exchange of information and experiences and conferences on relevant current issues affecting the glass industry. TUROMAS strengthens its position in the Asian market. 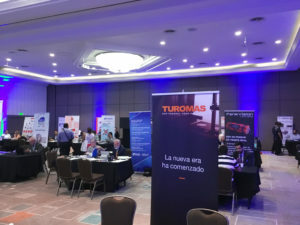 Esta página utiliza cookies y otras tecnologías para que podamos mejorar su experiencia en nuestros sitios. Usted puede permitir su uso o rechazarlo, también puede cambiar su configuración siempre que lo desee. Más información.